A couple of weeks ago, my three year old daughter made a beautiful craft involving stars, stickers, and lanyard; three of her favourite arts and crafts items. She created a beautiful necklace, in the shape of a star and decorated it with bright glittery stickers that are stars of varying shapes and colours. She then glued on a photo that I captured of, yes! you guessed it, her gazing up at the stars. Aside from the great curb appeal of the project, there was a key phrase on the necklace that read “In Parshas Lech Lecha, we learn that Avraham would have as many children as the stars in the sky… I am one of those precious stars.” Ironically, my daughter ended up covering up most of the words on the necklace with her star stickers. While the craft was cute and she really enjoyed meticulously decorating her necklace and placing the stickers in just the right spots, I had hoped that the message we discussed while making the project would be long lasting. While we were learning the Parsha the other week, there were many themes that came up and provided me with the opportunity to discuss several lifelong lessons. We made a suitcase and took scrupulous care in stocking it up with personalized items for Avaraham and Sara to bring on their journey to Caanan. We sang songs about traveling by camel. We read books and played games involving the many ways to travel; by foot, bus, bicycle, trolley, scooter, car, airplane, boat, helicopter, and of course, tractor (that was my daughter’s choice). Yet, the lesson that I kept coming back to was the message from the verse that Hashem told Avraham when showing him the land he would inherit. “Please look heavenward and count the stars, if you are able to count them, so will be your seed,” (Beraishis 15:5). As many people know, I tremendously enjoy reading, and not just any reading, but reading with a purpose. Our bookshelves are filled with a variety of books on Torah perspectives on marriage, parenting, self-development, and growth. The insightful Rabbi Dr. Avraham Twerski, a leading expert in counseling, guidance, and psychology, is one of my favourite authors. Although he has written a variety of books on a multitude of topics, they all hold a central theme: the role, importance, and value of self-esteem. He expounds on the idea of self-esteem to say that many of our struggles and challenges are connected to our deeply ingrained self-concept and perceptions of who we are and what we are here for. I certainly appreciate the importance of this. But it wasn’t until reading a personal essay of his, titled “My Own Struggle with Low Self-Esteem,” that the message really hit home. He writes, ‘People often ask me, “Is it true that you’ve written over 50 books? How did you find time, with your busy schedule, to write so many books?” I tell them that I did not really write fifty books. I wrote one book, in fifty different ways. Almost everything I write relates in one way or another to the theme of self-esteem.’ I pondered this concept further and reflected, if the Torah and psychology giant Rabbi Twerski, could have doubts about himself, maybe I should stop running away from my own personal doubts. This morning, I wrote a letter to a friend of mine who recently had a baby boy, in order to plan some time when I could come over and watch her three older boys so she could get some rest. We were also chit chatting back and forth by email and I mentioned that I had attended a bris the night before, across the border and had come home late. Despite going to sleep three hours later than usual, in his typical early bird fashion, my one year old son got up at 6am, while it was already 8am and my daughter was sleeping in (I miss the days when waking at 7:30 or 8am wasn’t considered sleeping in). My friend, ever the thoughtful one, wrote back to me that it sounded like I had my hands full, so no need to come over today like I offered. However, I’m not one to back down so easily, so I wrote back, “It seems like I always have my hands full, I don’t know, maybe I’m a frazzled mom, not the type that has her makeup on just right or never appears to be hurried or harried, hehe. I really don’t mind. Between last night and this morning, I’m almost done all of my Shabbos prep. So if you’d like a break, just give me a call and I would be happy to take your kids to the park.” And then, I went on to ramble about the pros and cons of children sleeping in and therefore not being tired to go to bed on time later in the evening, versus waking a child at their regular time and them being sleepy and grumpy the whole day, but going to bed a little early that evening. I’m still not sure which is better or if they are equally as bad, but I digress. As I pressed send, I noticed that there may have been confusion in my email. So being the perfectionist that I am, I had to clarify, ‘Correction, the “I really don’t mind” part applies to coming over, not being frazzled. That, I wouldn’t mind changing. Although those who don’t know me well are always telling me “wow you are the most cool, calm, collected mom I’ve ever met” – ha what a load of baloney!’ I closed my laptop screen and went back to the 17 hour a day task of cleaning up and tidying our home. As I was putting away rogue objects and getting our home ready for Shabbos, I noticed Bayla’s star project from a couple weeks ago still hanging on her door knob. I contemplated tucking it away (read: throwing it out), as my daughter makes projects nearly every day and our home could probably be called “Bayla’s Museum of Artwork”. She saw me admiring her work of art and promptly walked over and put it around her neck. 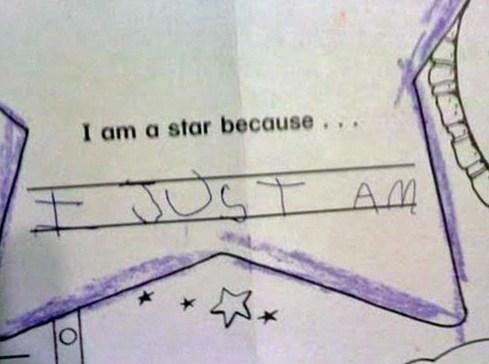 She then proudly exclaimed “I am a star!” I smiled and nodded, “Yes you are sweetheart.” But it was her words to come that brought tears to my eyes. “You are too, Mama, you are a star.” Words cannot express the emotions that overtook me at that moment. Maybe I am the cool, calm, and collected mother I’d like to be. And maybe I can look put together without wearing lots of makeup. Maybe it’s everyone who’s right and it’s me who has a foggy vision. After all, strength is in numbers. I am a perfectionist. There is no one who I hold to a higher level than myself. The expectations I set are sometimes so high that I become overwhelmed by my goals, ambitions, and aspirations. I am hard on myself, really hard. I once (okay, a few times) got hives because I was so stressed from all the projects I took on. I wear my heart on my sleeve; I love my family and close friends more than words can say. I live and learn. I take risks and learn from my mistakes. I began to contemplate my unique individual makeup and the many roles in my life; wife, mother, daughter, daughter-in-law, sister, aunt, friend. I also have the aspects of my identity that are associated with my passion to help others; social worker, counselor, researcher, writer, editor, volunteer, financial strategist and planner, resume builder, job and interview consultant. I then have other parts of me for all the areas of life that I enjoy (albeit I wish I could spend more time on them) such as nature lover, photographer, life learner, artist, handy-woman and DIY project starter (unfortunately not always finisher), graphic designer, children’s storybook writer (a girl can dream, right?). 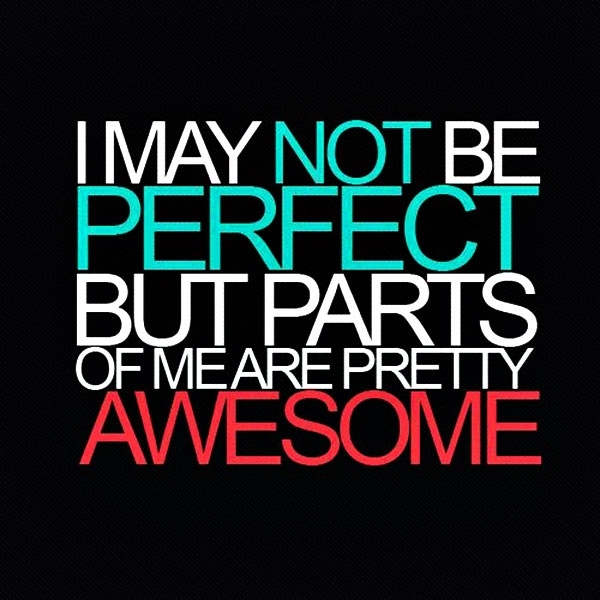 I may not be perfect, but parts of me are pretty awesome. I work hard and play hard. I have my quirks. I have short comings. I have areas that I know need work. But I am not afraid of a challenge, the challenge of reaching my potential. Living up to who Hashem knows I can become. Hashem promised Avraham that he would have as many children as the stars in the sky. And I am one of those stars. I have my dear three year old daughter to thank for teaching me this very important lesson in her own sweet subtle way. And I have Hashem to thank for giving me the knowhow to recognize that I am a star and have the strength to continue shining as bright as I can. Ettie Shurack lives in Vancouver, Canada, with her husband and children. In her spare time, when she’s not working on her thesis, she loves spending as much time as possible outdoors, painting, swimming, and photography. You can find more of her writings in the Growing Up column at www.ashtikelvort.com.